Fear Drives China's Oppressive Rule In Tibet, Dalai Lama Says : The Two-Way Chinese leaders fear what might happen if Tibetans were allowed to live freely and others under Chinese rule started to demand more respect for their rights, the Buddhist spiritual leader says. 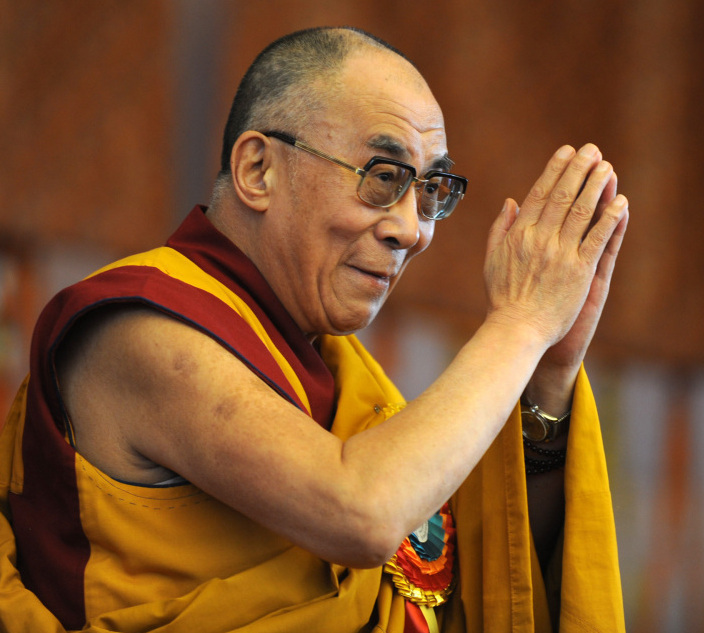 China's leaders continue to impose oppressive policies on the people of Tibet out of fear, the Dalai Lama said earlier today on Morning Edition. They fear what might happen if Tibetans were allowed to live freely and others under Chinese rule started to demand more respect for their rights. That has meant, he said, that "they ignore ... reality and they impose their rules. ... That's the problem." "The sad events" of the past year — the self-immolations of about 30 Tibetans in protest of China's rule — are the result of "several decades" worth of such oppression, he added. Still, the Buddhist spiritual leader says he remains optimistic. Eventually, he told NPR's Renee Montagne, things will change for the better. He gets some hope from Chinese leaders' comments in recent years about the need for political reform in China.